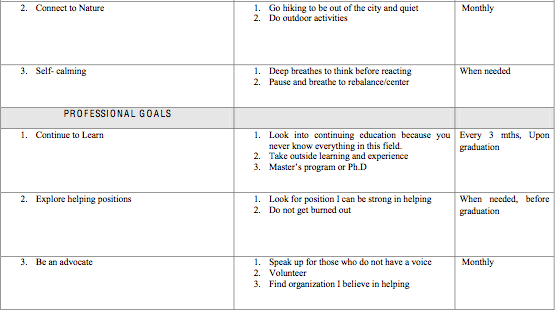 Strategies for Wellness: College Senior Self-Care Plan & Your Mission Statement* by James Stinchomb, KSU Graduate and former KSU student in KSU 4401: Senior Seminar Summer 2011. *The exercises and permission to use these exercises were given by Professor Judith Slater in the Department of Social Work and Human Services. Both exercises were provided to James in his Ethics class in Human Services by Professor Leslie McClane. James Stinchcomb is a graduate from Kennesaw State University with a Bachelor’s in Science in Human Services with a concentration in Case Management. James is going to graduate school to continue his education for future licensing as a professional counselor in the Georgia. He is currently working at Kennesaw State University in the Human Service department where he one day hopes to become a professor. He is also working on his own company, Keep Kids Cheering, to teach others the importance prevention of suicide and discrimination among Lesbian, Gay, Bisexual, and Transgender youth in our community. Also he is focusing on teach culture competence when dealing with LGBT members in the work place and daily interaction. The information James is providing you came from what he has learned about taking care of yourself throughout his classes in Human Services and his previous work experience. Being a nontraditional student while in college gave him the ability to recognize the importance of self-care in your professional life and personal life as well. Have you ever felt like you are just going throughout daily life and one day stop to wonder how did I get here? When it comes to taking care of yourself you have to remember you come first. So many times in our professional and personal lives we forget to take time for ourselves. Something I have learned in the Human Services courses is you have to take time to make sure you are health or you will not be able to help others if you cannot help yourself. 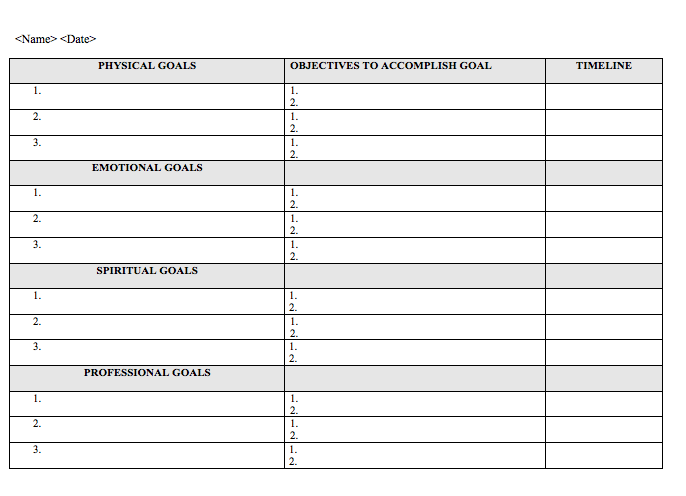 In doing this exercise in class I was able to see just how important it is for me to take time every day for me. The reason for doing a self-care plan is to prevent burn out, help you deal with stress, and to make sure you take care of yourself. Something to remember is if you do not take time to take care of yourself, no one else will. I. Physical- Physical care involves initial assessment regarding your specific physical well-being. This is more than do you feel you are the right weight. Physical well-being may include nutrition, rest, as well as exercise. II. Emotional- Emotional well-being may be related to effective communication skills as well as how one handles stress, life crises, etc. To determine emotional well-being you are challenged to reflect on your internal processes that drive your outward behaviors. We will discuss this further in class. III. Spiritual- One’s spiritual self may be embedded in a specific religious practice but more often, one’s sense of centeredness and balance is more about how one believes about their spiritual self. IV. Professional- As you continue your professional development, it is never too early to consider what steps are critical to achieving your career goals. 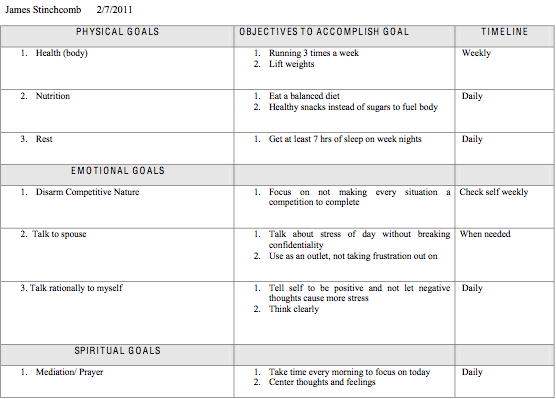 Here example of my self-care plan by James Stinchcomb written February 7, 2011. Another exercise I would like to share with you has to do with creating your mission statement. In creating a mission it really was about me and what I wanted to do in the future. This exercise made me take what I did in my self-care plan to show me how in taking care of myself, I could reach my mission. If you click here you can see an example of my mission statement. I hope this information I provide helps you in the future. Good luck in all you do and remember to take time for yourself. If you have any questions please feel free to contact me.